With the holidays right around the corner, and Black Friday deals on the horizon, you may be considering upgrading your children’s technology. Many kids are asking for gaming systems and the latest games to go with it. 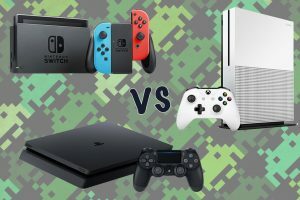 You may be hearing mention of the Nintendo Switch, and are debating on whether or not you should purchase one for your household. 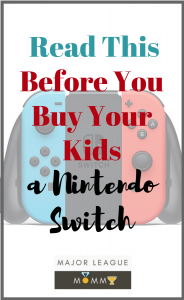 If so, you will definitely want to Read This Before You Buy Your Kids a Nintendo Switch. The Nintendo Switch is a new gaming system by none other than, Nintendo. This system can be used for both single and multi-player games. It can be used at home with a TV, as a handheld device, or in tabletop mode. Nintendo Switch can be used just about anywhere making it an excellent gaming choice for the kiddos. You can connect it to the TV to use as entertainment for the entire family, you can play it at a table, or you can take it on the go using it as a mobile device. 2 controllers come with the console, so you can take advantage of 2 player game-play right away. There are exclusive games available on the Nintendo Switch that are really awesome! There are a variety of games available on the Nintendo Switch so you don’t have to worry about getting bored quick. There are games you can play without being connected to internet. There is a Parental Controls app where you can set play time limits, and also monitor gaming activity. Additionally, you can restrict specific games as well as spending. You can’t yet download apps such as Netflix on the gaming system. 🙁 But apparently this is something that is in the works. Not as powerful as Xbox One or PS4. Sooo. 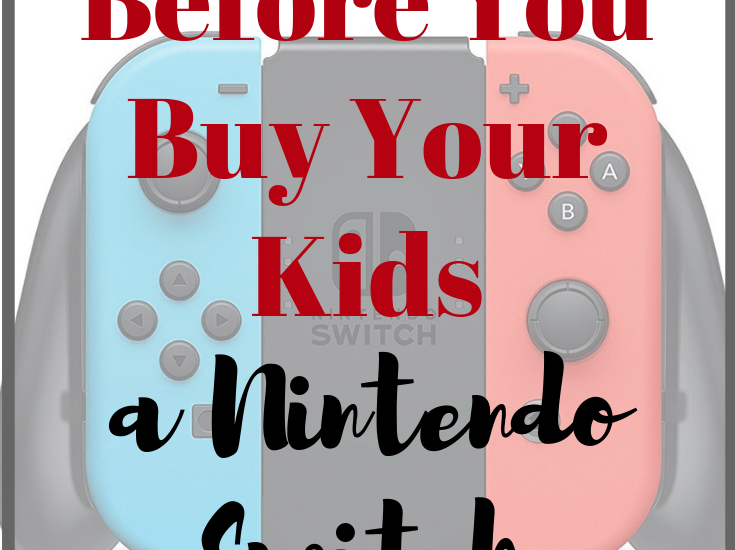 . . should you buy one for your kids? Eh. I think it’s a pretty fair buy for the family. I do recommend the Nintendo Switch if you are looking for a gaming system that can entertain the entire family regardless of size. I believe the pros outweigh the cons, so I give it a thumbs up. Enjoyed this post? Don’t forget to share your thoughts with us on Facebook . We would love for you to share your personal experiences with, and opinion of, the Nintendo Switch. See you there!